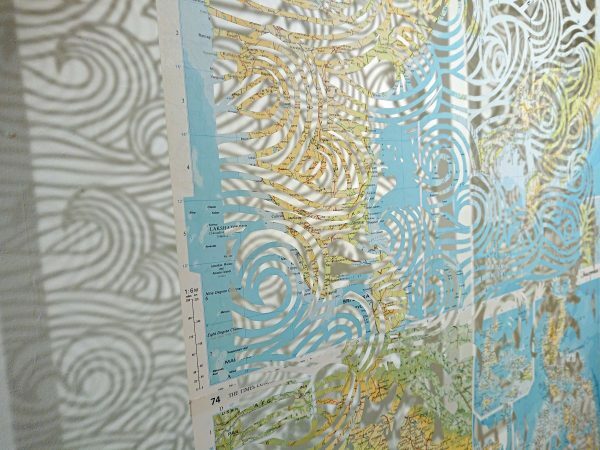 A paper sculpture made of cut book pages. 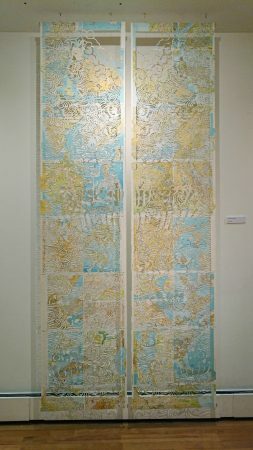 I rearranged the pages of a World Atlas to create two identical scrolls, 2,7 metres x 54 cm; they present scenes of travel and displacement by sea. 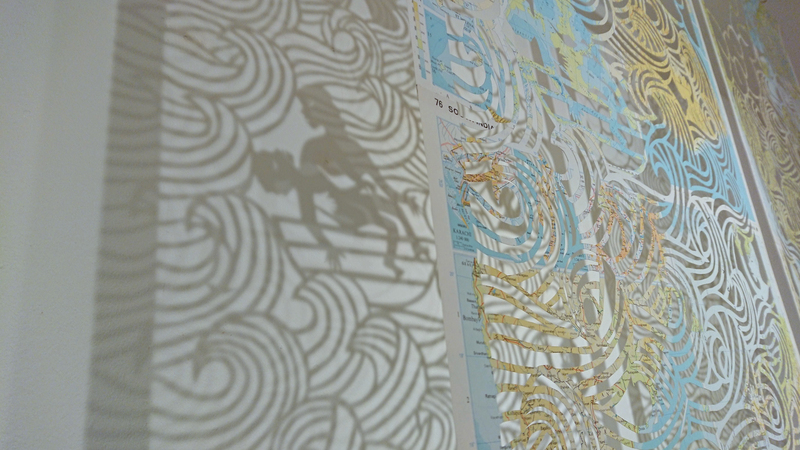 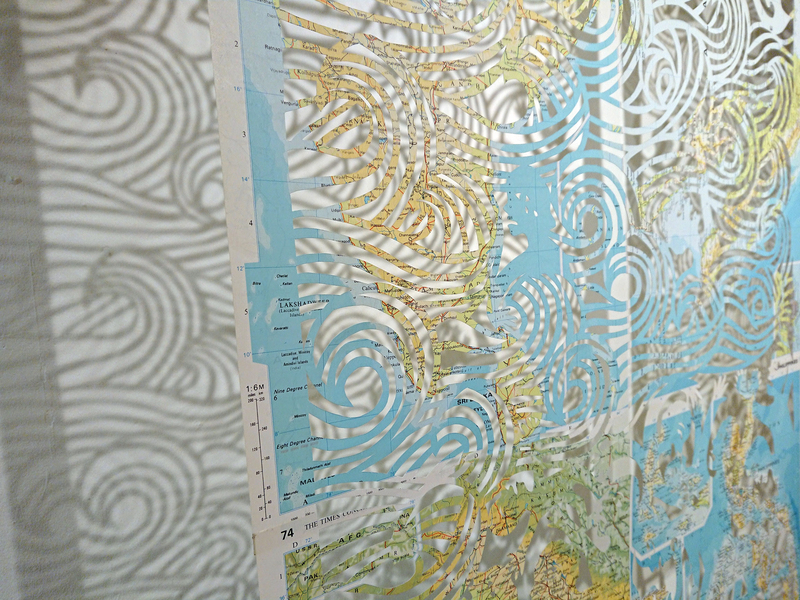 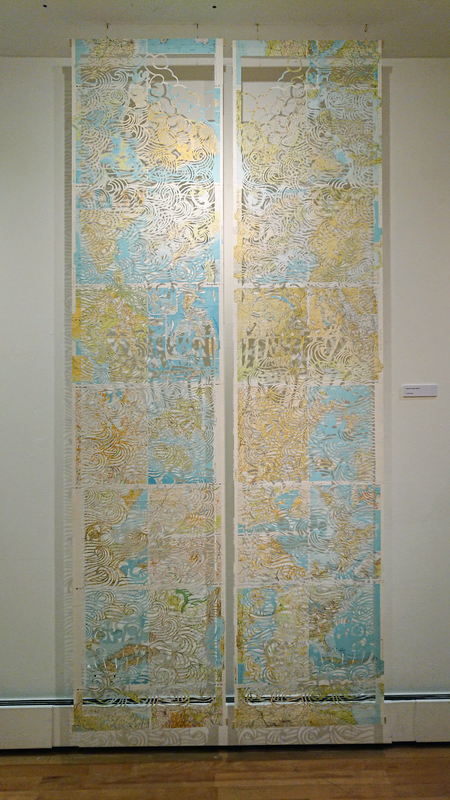 Thinking of the movement of human beings from familiar but hostile places to even more hostile but promising new lands, I rearranged the pages of a World Atlas to create two identical scrolls, 2,5 metres high x 54 cm long; they present scenes of travel and displacement by sea. 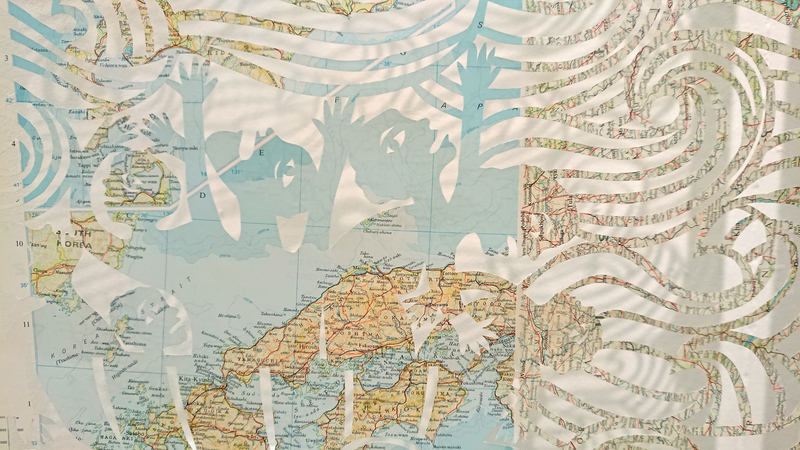 There is hope, suffering, desperation and sweetness in the same scenes; the people I depicted are made of maps, of the same places they are escaping from, or the promised lands they are trying to reach. 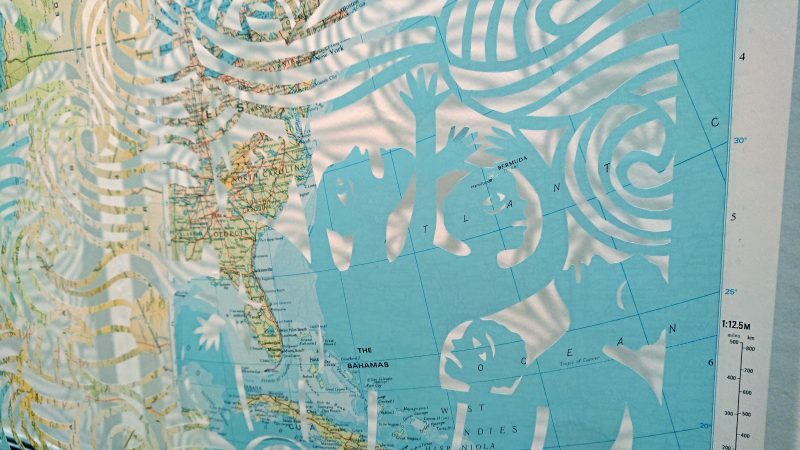 The two scrolls, identical and symmetrical, meet in the middle to create an empty cloud: in old times’ ex-voto paintings, the image of a Saint or Deity would appear in a cloud, to protect people from accidents or difficult situations. In my ex-voto there is not space for supernatural; there are only men and women, looking at other human beings struggling to get to a better life.